Using proprietary analytics software and a hands on approach, Techaerus identifies the most cost-effective methods to employ that technology to provide the greatest return on investment whether it be increased capacity or expense reduction. little thought is given to integration, advanced training, and best use practices. The result is a poor return on those investments. 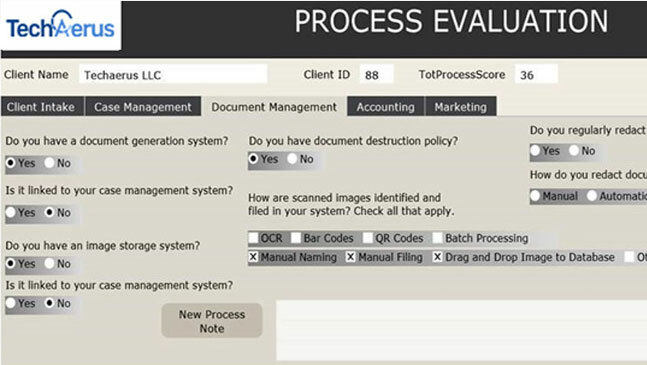 Techaerus performs a comprehensive review of an office’s personnel, processes, and technology. 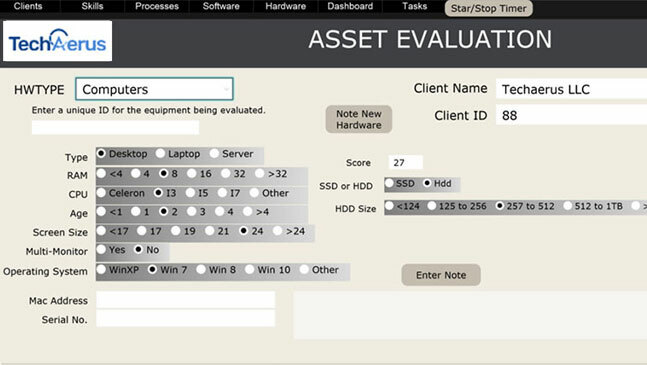 It then provides a detailed analytical report identifying any deficiencies and the resulting lost opportunities. Finally, it creates and shepherds through completion an action plan that addresses each of the identified deficiencies. A common example concerns the office photocopier. 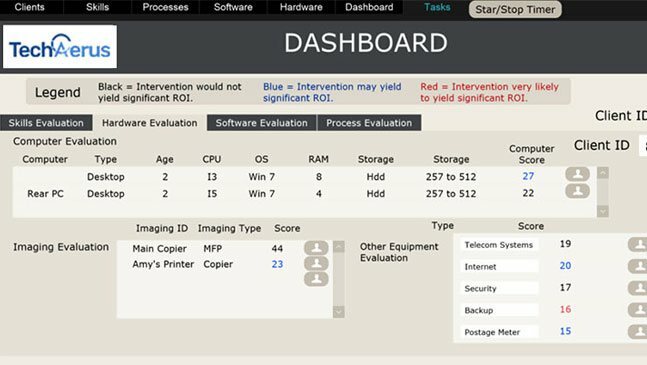 If your copier is attached to your network, it can provide extraordinarily powerful imaging capabilities when integrated with your current software. Imagine receiving a document in the mail, adding a simple barcode sticker to that document, dropping it onto the copier and having the system automatically save that document to a folder on your network with a complete description. It is likely that you already own just about everything you need to accomplish this. You just need someone to show you the way. How Does Techaerus Benefit You? The bottom line is your bottom line. Whether you want to increase your capacity for new business or dramatically reduce expenses without sacrificing quality, Techaerus is the solution. Inefficiencies can cost organizations upwards of 30% of their annual revenue.